Almost Happy New Year to Auntie M’s readers, and she leaves you for 2018 with one of her favorite reads of this year. 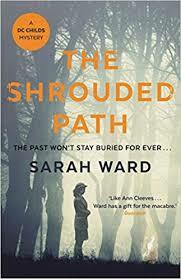 Auntie M hadn’t really thought of Ward’s series that way, but she supposed it fits, as that sort of creepyiness that infiltrates the best of Cleeves work is at play in this series, too. The plot centers around events of 1957, with some details dropped in from that time period alerting the readers to a well, macabre incident that happened then but isn’t made clear until near the end of the book. All in good time . . .
For DC Connie Childs, getting used to DI Matthews covering for DI Sadler, having a staycation, news that an elderly woman has been found dead sitting upright in her own living room sounds like nothing more than a routine death, if death can ever be routine to the person whose died. Then why does Connie feel like she should pursue the matter? Is it simple boredom, or a wish to impress their new DC, Peter Dahl? At the same time, Mina Kemp, a gardener known locally as the Land Girl, has been visiting her dying mother in hospital. When her mother becomes agitated over a girl known as Valerie, it soon becomes apparent that to ease her mother’s mind, she must find this Valerie, whom her mum keeps insisting has visited her. But then the oddest thing happens. Mina’s mum confesses Valerie is dead. 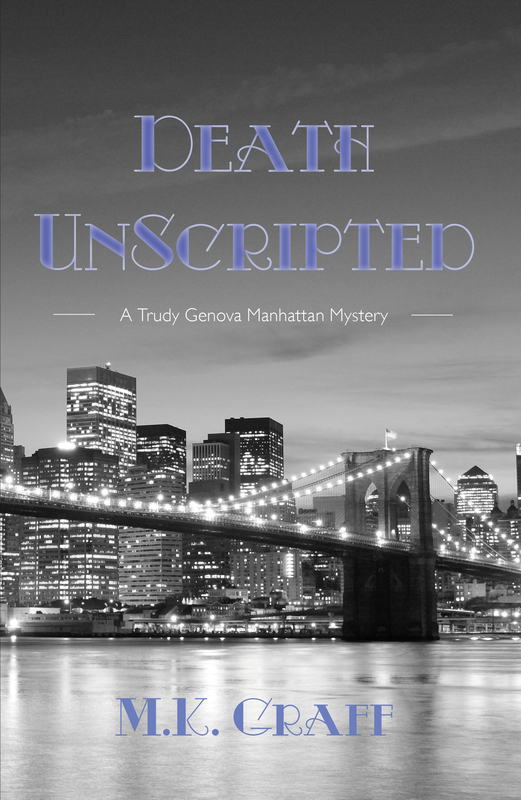 With Connie using her instincts to push on the investigation, a second death of an eldery woman comes to light, and when it seems the two women knew each other, Connie and Peter Dahl are alert to the connection. And then a third woman dies, and this time there can be no pretending this was a natural death, especially when she’s linked to the other two women. With tales of old, secrets kept, and people who’ve learned to cope moving on, even Sadler will be surprised at the turn of events in this fully realized, compelling mystery. A strong entry in a fine series, this one just keeps getting better and better, and earns Auntie M’s ‘highly recommended rating’ for the last day of 2018. Merry Christmas to all of Auntie M’s readers, and Happy Holidays if you celebrate another. And the merriest of holidays to readers everywhere for Louise Penny’s newest, Kingdom of the Blind, a holiday gift to her readers everywhere that many thought wouldn’t occur this year. No one would have blamed Penny for not giving us an Inspector Gamache book this year after the death of her beloved husband, Michael, the model for Armand Gamache. And indeed while it is later than her usual August publication, it’s a wonder and a delight she found the courage and stamina to write at all. 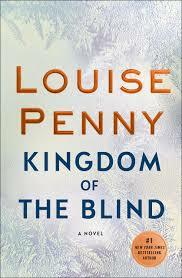 So thank you to Louise Penny for giving her readers another Gamache to savor and enjoy. With Gamache on suspension and still being investigated after the events of last year’s Glass Houses, the detective is enjoying Three Pines and his lovely wife, Reine-Marie, but is intrigued when a letter arrives expecting him to be present at an old farmhouse outside of town. Derelict and looking ready to collapse, it is there he meets, to his surprise, his good friend, bookstore owner and former psychologist Myrna Landers, also summoned, plus a rather eccentric young builder named Benedict. Why did Bertha Baumgartner entrust the liquidation of her estate to three people she barely knew? And what of the odd bequests in the will itself? 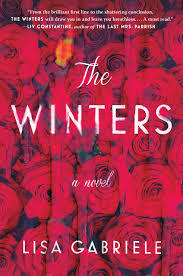 What starts out as an oddity soon turns into tragedy when a body is found, connected to the old woman, and under most unusual circumstances. While the case begins for some, and leads to surprising quarters, Gamache is still bound up in trying to find the opiods he allowed to be brought into Quebec in order to end the large US-Quebec cartel operating in the area. It’s why he’s on suspension, and with the deadly drug ready to hit the streets, the reason he’s racing against time, using any means possible to find the location of the drug. And he will find help in a most unlikely quarter, but at what cost to himself, his career, and others he cares about? In her books Penny always manages to bring tears to Auntie M’s eyes, and this one is no exception. As the climax approaches with tremendous suspense, readers will be flipping pages wildly to seek the result. 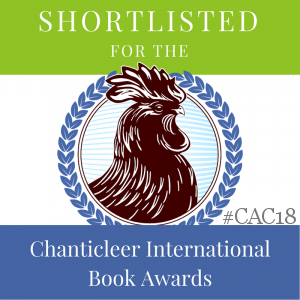 With her keen ability to use Gamache to illustrate her characters as he sees them, readers become entwined with even the most secondary character and their outcomes. And to those who are repeat characters, readers attach a deep affection and interest in their lives. While able to pierce the darkest parts of a human soul, Penny has a unique gift that allows those holes to let in the light and grace deep within us all. Holiday post #4, whereby Auntie M tells of great mysteries this time for holiday gift giving. These are a varied lot! 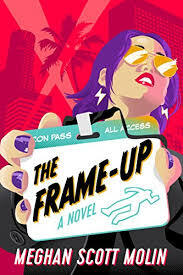 For those who like their mysteries quirky, look for Meghan Scott Molin’s The Frame-Up. This debut in an inventive new series features comic book writer MG Martin, a geek who also designs costumes for drag queen pal. The action starts with MG noticing a crime scene photo straight out of her favorite comic series, The Hooded Falcon, except for the Falcon’s signature, a golden arrow. The man in line at the coffee shop perusing the photo is the LAPD detective on the case, Matteo Kildaire, and it turns out there was a golden arrow found at the scene. And that this comic was put out by MG’s employer, Genius Comics. With explanations out of the way, Kildaire allows MG to assist him as long as her invovlement is kept quiet. Gathering intel requires Matteo to assume the role of MG’s boyfriend so he can investigate her fellow employees. The negataive is that as MG’s theories prove right over and over again, she put herself in the crosshairs as the Golden Arrow. A nicely twisted plot, creatively written with an eye into the world of comics and a hint of romance. Lots of humor here, too. 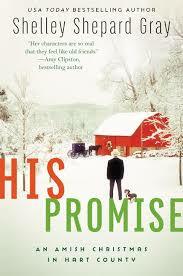 More or a romance, and an Amish one at that, Shelley Sheparad Gray’s His Promise is a Christmas story in the country, one having a rash of suspicious fire. Grace King is a pet sitter missing her family. Then firefighter John Michael Miller crosses her path, the same man who broke her sister’s heart years before, bringing both Grace’s anger and her feelings for the man to the forefront. But the reason behind that heartbreak just might herald a huge surprise for Grace. With the fires escalating and the couple’s complicated feelings for each other surfacing, this is a charming holiday tale with a hint of mystery for readers enjoying Christian fiction. 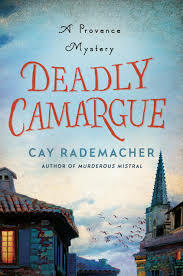 We head across the pond to France for Cay Rademacher’s second Provence Mystery, Deadly Camargue. Detectives Roger Blanc (Capitaine) and Marius Tonon are called in the middle of a heat wave to the Camargue to investigate the suspicious death of reporter and television personality Albert Cohen. Gored by a bull when out cycling, it was originally believed to be an accident, until it seems the gate was left open intentionally. Who would have wanted to kill him? Cohen’s been working on an article on van Gogh, but could that have a tie to a long ago burglary? With a grand look at the history and area’s landscape, long-held secrets will be uncovered as the duo look deeper and deeper.There’s a nice touch of humor, too, as Blanc settles in with his new home and new colleagues at work. A deft sequel. 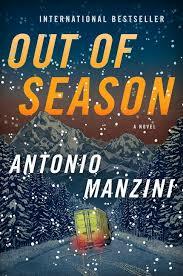 Keeping across the pond, we travel to the Italian Alps and Aosta for a return visit to chief Rocco Schiavone in Antonio Manzini’s Out of Season. A real stand-out in fictional sleuths, Rocco is something of a rebel as well as non-traditional character, who’s drawn readers to him like flies. A deadly crash after a young girl’s kidnapping raises more questions than answers. Who were the dead kidnappers and why this girl? And just how did the girl survive the crash? As Rocco investigates, a Roman fish out of urban wate, sent to the icy area of the small northwestern town, the detective will use his wiles and canny means to investigate. He’s not afraid to step outside the box or step on a few toes to get to the bottom of this compelling mystery. Along the way there will be a snow storm, a prison break, and even a chance for romance for Rocco, all contained within a witty and complex mystery that packs a visual wallop one can imagine on the big screen. 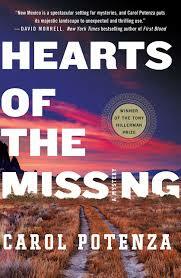 Carol Potenza won the 2017 Tony Hillerman prize with good reason readers will appreciate once they read Hearts of the Missing. Set in New Mexico, we are introduced to Pueblo Police Sergeant Nicky Matthews, who covers a nearby reservation. She’s investigating the the suicide of a young woman linked to missing Fire-Sky tribe members. With the murders tied to a genetic link, Nicky must tred carefully among the indigenous people and their beliefs, as well as her own bosses and the reservation’s tribal elders. The mysticism mixes with science in this researched tale. Native American culture, at the forefront, is handled in such a way that readers will learn about it even as Nicky finds herself in jeopardy. There’s a bundle of forensic evidence, too, as author Potenza is an Assistnat Professor of Chemistry and Biochem at New Mexico State University. Holiday post #3, great holiday thrillers for readers on your list! 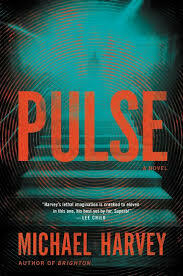 Multiple award-winning journalist and documentarian Michael Harvey lends his talents for place and people for a second time with Pulse. 1970s Boston springs off the page with all the grit and suspense South Boston can hold. The Fitzsimmons brothers have relied on each other when their mother drowned years ago. Older brother Harry, star of Harvard’s football team, has kept watch over younger brother, Daniel, now 16. When an opportunity arises for Daniel to move out of his cramped quarters on the floor of Harry’s room, his new landlord has a different perspective he shares. The former Harvard physics professor, working with an early generation laptop, shares his theories of harnessing the energy of the human mind. Daniel masters this and soon calls it into action when Harry is murdered in an alley. Bark Jones and Tommy Dillon are the detectives working Harry’s murder. They have their own history and working the case leads to surprising and heartbreaking secrets and decisions on both sides. Can’t talk about more of the plot of this twisted and compelling plot without giving a lot away. 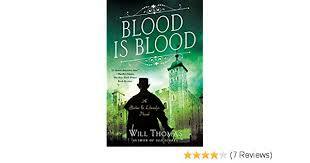 Just be assured that if your reader loves a twisted plot, this is the book to find. 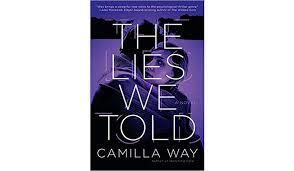 Camiila Way’s The Lies We Told brings a domestic suspense thriller to readers. While Beth knows her daughter, Hannah, has an issue with being unable to express emotion, she becomes wary of her child who seems capable of hurting others. When perfect Luke disappears, it’s his girlfriend Clara’s digging into his past that will uncover his perfect family she thought he was from includes a long-lost sister. The secrets and lies she uncovers illustrate an elaborate almost maze-like twist in history of several of the characters and the cover lives that have been created for some. A twisted and manipulative plot means even when you think it’s over, it’s not. 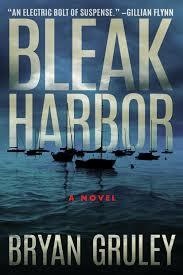 Thriller writer Brian Gruley brings a stand-alone with a terrific plot in Bleak Harbor. Set during the Dragonfly Festival in Bleak Harbor, Michigan, a mother will do anything she can to save her kidnapped son. Heiress Carey Bleak Peters has just threatened her boss with extortion for money she would use to take her son, Danny, and herself away from Bleak Harbor and start a new life away from her family and her alcoholic husband, whose own business has turned to the illegal side. With the kidnappers demanding $5 million in ransom, Carey and Pete go against their demand and involve the police. Enter the engaging Katya Malone, recovering from a tragic family loss, who will uncover family secrets that may have led to Danny’s kidnapping. 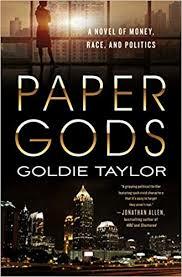 If you have a reader on your list who enjoys political thrillers, look no farther than Goldie Taylor’s Paper Gods. Bringing money and race to the forefront, a series of assassinations being investigated could jump off the pages of today’s news. People attached to Atlanta Mayor Victora Overstreet are being killed, with paper gods being left at the scenes. Reporter Hampton Bridges, sidelined, lost, and wheelchair-bound, should be her nemesis with their shared history. But the two soon become involved in their own investigations into who is behind these killings. Each has their own demons to handle; each cares deeply about their city in their own way. With a strong cast of secondary characters, not to mention Bridges faithful dog, Inman, the city of Atlanta becomes another character with its history and its present well described. Taut and fast-paced. 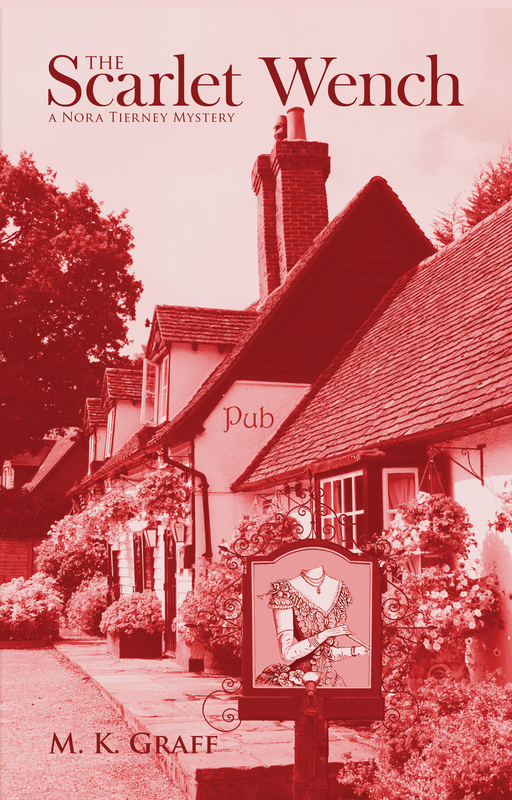 Lisa Gabriele retells du Maurier’s classic Rebecca by bringing it across the pond to the Hamptons of Long Island in The Winters. The story follows the same thread of the naive bride, unnamed, quickly married to the wealthy Max Winter, in this outing a state senator. Left alone as he travels, adjusting to Asherley on Long Island after her Cayman Islands home, the reminders in her new home are filled with references to Max’s first wife, Rebekah. This time instead of a jealous servant, we have Dani Winters, Max’s teen daughter, who is the disruptive influence. But Dani is successful in causing the new bride to question how well she really knows her new husband. And that’s when this new book deliciously diverts from the former and takes on a life of its own. 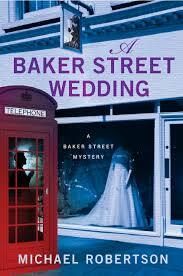 Michael Robertson’s fifth Baker Street Mystery, A Baker Street Wedding, features modern solicitor Reggie Heath, whose offices with his brother, Nigel, at the infamous 221B Baker Street London address bring them letters addressed to Sherlock Holmes. This latest installment revovles around Reggie’s wedding to actress Laura Rankin, and as the book opens, the disasterous day has taken off literally. There is the leak to paparazzi of the Cornwall location, which makes the reception as short-lived as the wedding cake. With the newleyweds desperate for peace and quiet, they escape to a remote village where Laura once attended school. The design for this comes early in the story, but Laura doesn’t mention that she has this destination in mind when she pulls Reggie into a plane he didn’t know she could pilot and flies them away from the hounding photographers. The small village where they arrive, in a valley between the cliffs and the moors, is one long block long. The school Laura attended has been closed, and the local theatregroup are doing a fundraiser of the Scottish play in hopes of reopening it. Small wonder, then, that Laura ends up here, and when the local gal playing Lady M dies tragically, Laura is seconded to not only save the show, but figure out if the young woman’s accident might be murder. With Reggie in the dark at first, groping blindly as secrets from Laura’s past come to the forefront, he will scramble to save her and himself. And when his best efforts fail, it will be up to an unlikely source to pitch in. The wry tone of the book will delight readers as much as the clever plot. Perhaps Auntie M’s favorite of the series so far. 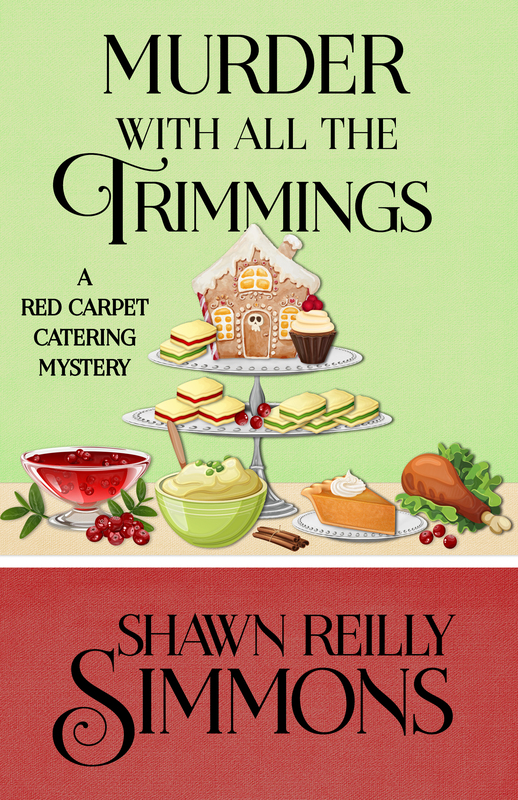 Please welcome Shawn Reilly Simmons, with her new release Murder With All the Trimmings, a grand gift for the holidays, who will graciously share her writing methods. Thanks for having me on the blog, Auntie M! Whenever I’m speaking at an author event at a bookstore or library and the audience is prompted to ask questions, I generally get at least one about my writing process. The questions typically revolve around how I got started writing or how I’ve managed to write so many books so quickly (six in about seven years, and close to a dozen published short stories). Every writer has their own routine and method of getting their work done, and my way may not work for everyone. But in the event it might be helpful to some, here is how I approach my writing. I wrote my first book early in the mornings from five to around seven or eight, or whenever my infant son woke up for the day. When he was born, I left my day job to stay home with him, and that’s also when I got serious about my writing. I’d always wanted to write for a living, but as it often does, life (and luxuries like paying rent and buying groceries) got in the way, and I ended up pursuing a marketing career in New York City after graduating college. Those early days as a new parent are exhausting, and your time really isn’t your own until they’re through those first crucial years. And forget about sleep, at least in my situation. Those early morning hours, however, are unique in their serenity, and they were always when I could get the most work done. The habit has stuck and to this day I still get 90% of my writing done at that time of the day. I prefer to write while it’s quiet, no music or TV background noise, with just a laptop and a cup of coffee on my desk. Besides the early mornings being quiet in my house, they’re also quiet out in the rest of the world, generally speaking. At that time of the day, I typically haven’t gotten any emails or texts or Facebook messages that have to be dealt with right away, or that provide a distraction from the task at hand. Another skill that I cultivated in those early years of motherhood was contemplating the next morning’s work during those quiet moments at the end of the day. While listening to my infant son fall asleep, I’d think about the next scene in the book I’d write. I’d work out how the plot would progress, and what my characters would be up to. It worked so well, that I still practice this quiet meditation seven years later. My last thought as I’m falling asleep is my work in progress and the next scenes to be written. I think because of this habit, I’ve never experienced writers’ block. I’m ready to go every morning, having worked out the way ahead in the plot before I’ve sat down. The last tip I’d suggest to writers who are working on being more productive is to find that magic hour or hours that works for them, and write every day during that time. Magic time is when you feel the most creative and relaxed, and when you can tune out the world for a while, and focus on your story. This timeframe will be different for everyone. I have author friends who are early risers like me, and others that swear those late hours after everyone else has fallen asleep are their most creative. Once you find the time of day that works best for you, commit to writing during that time, be consistent, and really write (no Facebook or research!) You can research outside your magic time. Before you know it, you’ll have a finished story or book. And the added benefit of holding yourself to a routine is that self-discipline brings confidence with it, and as writers we’re always grateful for more of that! Hopefully one or more of these pointers can help a writer or two out there. Keep writing, everyone, and Happy Holidays! Shawn Reilly Simmons is the author of The Red Carpet Catering Mysteries featuring Penelope Sutherland, an on-set movie caterer, and of several short stories appearing in various anthologies including “Burnt Orange” in Passport to Murder: the 2017 Bouchercon Anthology (Down & Out Books), and “The Prodigy” in Mystery Tour, the Crime Writers’ Association Anthology (Orenda Books). Shawn was born in Indiana, grew up in Florida, and began her professional career in New York City as a sales executive after graduating from the University of Maryland with a BA in English. Since then Shawn has worked as a book store manager, fiction editor, convention organizer, wine rep, and movie set caterer. 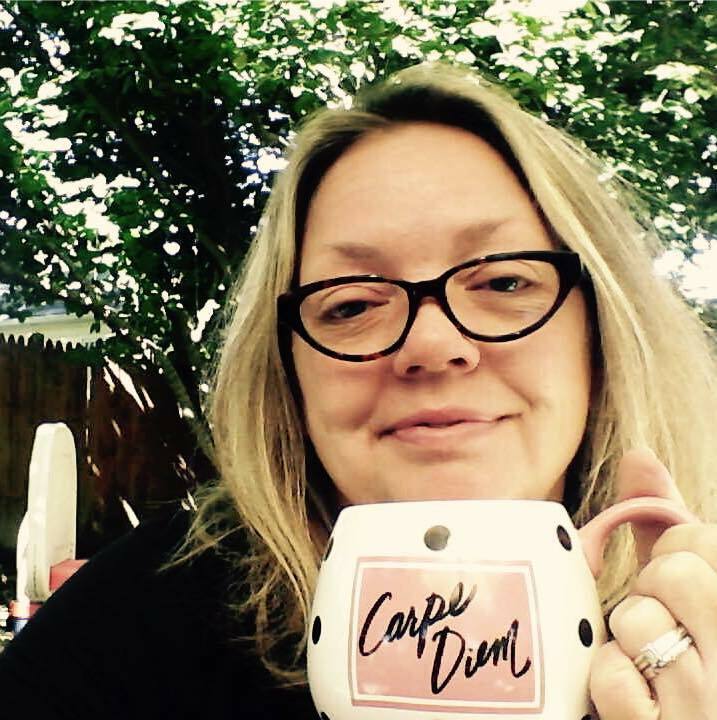 She serves on the Board of Malice Domestic, and is an editor at Level Best Books. 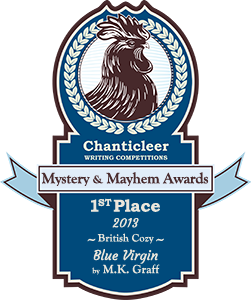 Shawn is a member of Sisters in Crime, Mystery Writers of America, the International Thriller Writers, and the Crime Writers’ Association in the U.K. Cooking behind the scenes on movie sets perfectly combined two of her great loves, movies and food, and provides the inspiration for The Red Carpet Catering series, published by Henery Press. 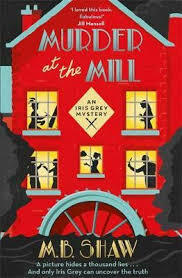 MB Shaw’s new series debuts with Murder at the Mill, where artist Iris Grey, coping with a disintergrating marriage, rents a house to give herself mental breathing space. Enjoying the nature-filled area and sketching soon give way to a commission to paint the portrait of her cottage’s owner, celebrated crime writer Dominic Wetherby. Iris meets the extended family and more at the Christmas Eve party the Wetherby’s hold. Becoming entangled with the entire Wetherby family, the idyllis Hampshire village soon turns nightmarish after the youngest son finds a body in the water on Christmas Day. Was this an accident or a murder? Attracted to the family attorney, Iris finds herself sleuthing when she becomes frustrated with the local police, just as she soon feels herself being stalked. A terrific puzzle and an engaging start to a new series. 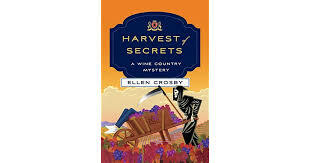 Ellen Crosby’s newest in her Wine Country series, Harvest of Secrets, takes readers to Virginia and the Montgomery Estate Vineyards during their busy season. Mixing an unearthed skull on Lucie Montgomery’s family property with a modern mystery, Lucie also has a new murder to contend with when shortly after arriving in the area at a neighboring vineyard, head winemaker Jean-Claude de Marignac is found dead. The prime suspect is an immigrant worker, Miguel Otero, who had quarreled with the new winemaker. But with Lucie’s own immigrant helped ready to revolt during the harvest, she plunges into figuring out the real culprit. It doesn’t help that the dead man was one of Lucie’s first crushes decades ago. 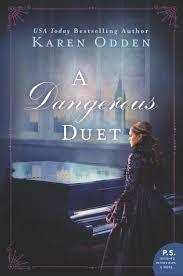 A nice mix of old and new mysteries, with Lucie facing buried secrets. 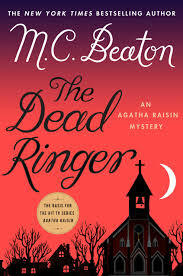 The 27th Agatha Raisin mystery, Dead Ringer, features all of MC Beaton’s usual wit and eccentric characters. The Bishop’s visit means the bellringers are practicing up a storm when Agatha manages to convince the lawyer Julian Brody of their team to hire her to investigate the Bishop’s missing fiancee`. Local heiress Jennifer Toynby disappearance years ago, with no body found, remains unsolved. But that’s not the only thing occupying Agatha. There’s the body of the local policeman discovered in the crypt; one of the bellringers twins is murdered near the church; and a journalist who was once briefly Agatha’s lover is found dead in her very own sitting room. Just how is the Bishop connected to these deaths? Now a British TV show, the Agatha Raisin series remains a favorite and a classic cozy series. From its charming cover to the the cast of cats in the characters, Melissa Daley’s Christmas at the Cat Cafe` glows with all that is merry and bright. Set in the town of Stourton-on-the-Hill, owner Debbie allows her sister to move in after a heartbreak. But that doesn’t sit well with the cat side of the home, Molly and her three kittens, who are soon at the mercy of Linda’s dog, Beau. Things go from bad to worse when another cat threatens Molly’s home ground. With Molly’s point of view at the forefront, this tale is a holiday delight for cat and animal lovers. Please welcome Olga Wojtas, author of the new Bunburry series, which has been described as a mix between Miss Marple and Midsomer Murders. 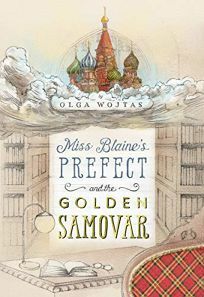 She’s here to talk about Miss Blaine’s Prefect and the Golden Samovar, a time-travel mystery with an inept sleuth, written as an homage to writer Muriel Spark. That’s what inspired my novel, Miss Blaine’s Prefect and the Golden Samovar. 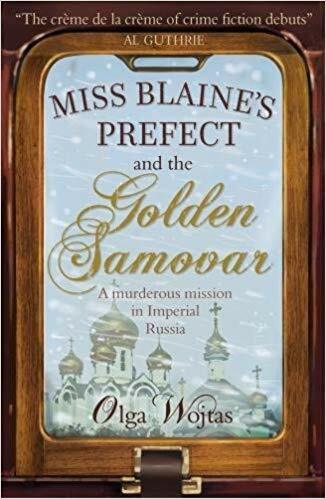 It’s a wacky romp featuring 50-something librarian Shona McMonagle, a former pupil sent on a time-travelling mission to 19th century Russia by Miss Blaine herself. Shona has a generally sunny disposition, apart from her deep loathing of The Prime of Miss Jean Brodie, which she thinks gives her alma mater a bad name. Impeccably educated, and an accomplished martial artist, linguist and musician, she is thrilled to be chosen for the one- week mission, which she deduces is to pair up the beautiful, shy, orphaned heiress Lidia Ivanovna with Sasha, a gorgeous young man of unexplained origins. But despite having had the finest education in the world, Shona might well have got the wrong end of the stick about her mission. In fact, she arguably qualifies for the grand Scottish word “numpty” (according to The Urban Dictionary, “A person who is incapable of performing the simplest of tasks correctly”). As the body count rises, will she discover in time who the villain is? It’s unusual to have a crime novel in which the protagonist is completely inept. But my aim is to have that as part of the comedy. Astute readers like yourself will pick up on the clues long before Shona does, and I hope you’ll have fun watching her get into deeper and deeper water (literally, at one point, when she’s the victim of an attempted drowning). If you’re a fan of Jeeves and Wooster, one of the loveliest reviews I’ve had described my book as “Anna Karenina written by P G Wodehouse”. Shona is something of a female Bertie Wooster, touchingly unaware of her own limitations and, I hope, endearing with it. She’s surrounded by a host of extraordinary Russian characters, from the serf Old Vatrushkin (a young man who’s terrified of being emancipated) and an elderly nanny who knits (though never produces anything recognisable) to a snobbish countess with a dangerous cleavage, and her ill-trained lapdog which Shona describes as an animated floormop. Will it all work out in the end? I hope it’s not a spoiler to tell you that it does – but whether Miss Blaine thinks Shona deserves to be sent on another mission is another matter. I’m thrilled that the novel is one of the Christian Science Monitor’s top ten books for November 2018, and one of the Kirkus best books of 2018. I also write the Bunburry e-book series of novellas under the name Helena Marchmont. These are short cosy crime mysteries which can be read in a couple of hours, set in the rolling hills of the English Cotswolds. I’m half-Scottish and half-Polish, and figured that my real name didn’t fit very well with the quintessential Englishness of the subject matter. So I took my middle name, Helena, and the street I grew up on, Marchmont Road, to create a new persona who I think sounds suitably Anglicised. The main character is Alfie McAlister, a self-made millionaire who has relocated from London to the idyllic village of Bunburry following a personal tragedy, but finds himself playing amateur detective alongside his late aunt’s best friends, Liz and Marge. He’s touchingly unaware of how attractive he is (less to do with his money than his good looks), and it never crosses his mind that local policewoman Emma and American environmental activist Betty might be interested in him. Each novella contains an individual mystery. But there’s also a mystery in his family background which gradually unfolds as the series continues: the first e-book came out in September 2018, and the others are being published at two-monthly intervals. Alfie doesn’t remember his Aunt Augusta who left him a cottage in the village, although he has fond memories of his grandparents who were killed in a car crash when he was twelve. Through Liz and Marge, he begins to discover more about the crash and about his family. These are more mainstream stories than the quirkiness of Shona, but I’ve still introduced some humour. Alfie’s best friend is the aristocratic Oscar de Linnet, who refuses to leave Bunburry to visit the country, which he dismisses as “pub grub, mud and cows”. He sees himself as a reincarnation of Oscar Wilde, and is always prepared with a Wildean quip. 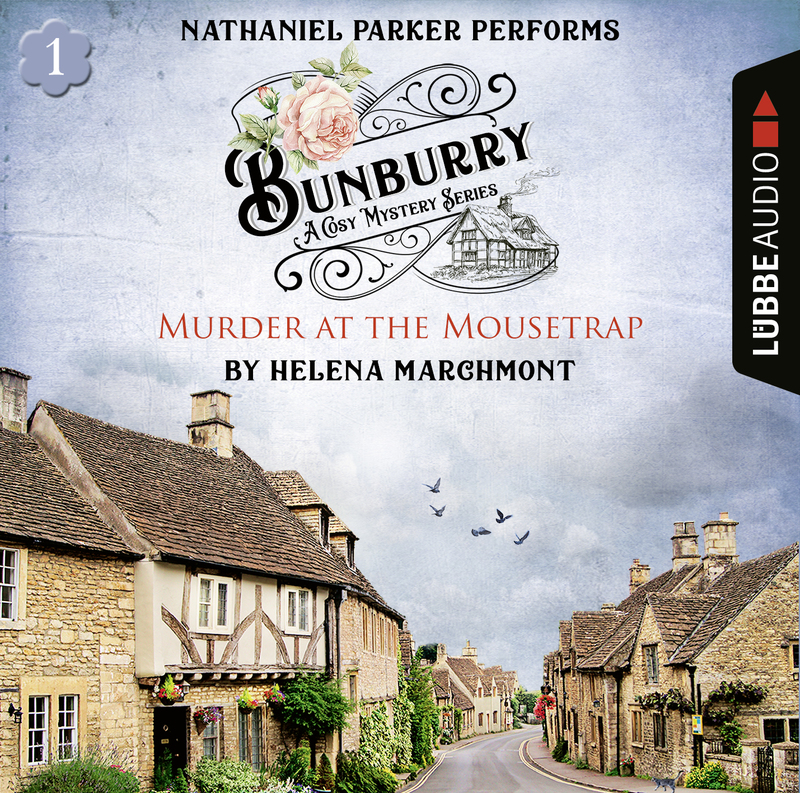 News Flash: The Bunburry Mysteries will soon be available in Audio in GERMANY, performed by none other than Nathaniel Parker of Inspector Lynley fame. 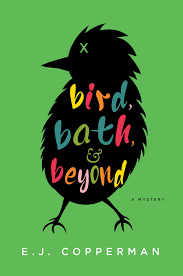 EJ Copperman’s second Kay Powell mystery, Bird, Bath & Beyond, is as hilarious as the first. His wry humor and pun-filled prose makes this an enjoyable sequel as the agent who represents animals finds herself once again embroiled in a murder investigation. This time Kay is repping a canny parrot, who can utter lines on cue. Barney is the right-hand bird of the medical examiner in a television show Dead City, where zombies are involved, making it an apt title for what’s about to happen. Of course it will be Barney who is the only witness when the show’s star is shot in his trailer during a shoot. Despite Kay explaining that Barney recites learned lines and can’t actually carry on a conversation, much less be interviewed, detectives keep trying to interrogate the feathered lad. It will be up to Kay to track down a killer to keep her client safe when it seems the killer believes Barney can finger–um, feather him. 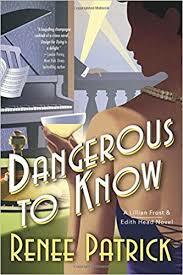 A fun romp with a sharp protagonist in Kay, for animal lovers and mystery fans alike.